Naledi is nestled in the foothills of the beautiful Magaliesberg mountain range en-route from Magaliesburg to Rustenburg on the R24. The self-catering establishment has four cottages, of which two cottages are double storey, and all feature fully equipped kitchens, lounges and braai facilities. The abode also offers guests a swimming pool and parking on the premises. Naledi prides itself on keeping the major portion of the farm as natural as possible, preserving the indigenous flora thereby attracting a large variety of birdlife. From Naledi you can enjoy the scenic beauty‚ unique natural features‚ rich cultural heritage value, and archaeological interest of the Magaliesberg Mountains which tower over the property. Family friendly: Our SunSeeker, SunRise and SunSet cottages cater for children. We have a swimming pool and a communal lapa / braai area with a fully licensed bar and a pool and table tennis table for the guests who feel like socialising. Romantic: Our SunFlower cottage is ideal for a romantic break for two. 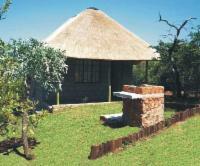 It is nestled in the bush separate from the other cottages. Really enjoyed our stay! Beautiful surroundings, feels like you on a farm! 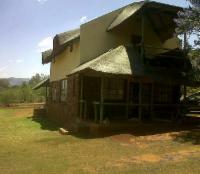 we loved the braai area, swimming pool and the overall setting. However we felt that the room could be safer. Nature. The peace. Really relaxed after the one night. Naledi Star Self Catering Cottages is 25km from the centre of Magaliesburg , the nearest airport 62.3km (Pilanesberg International Airport).